The Electricity Safety, Quality and Continuity Regulations 2002 requires the electricity distributor to install the cut out and meter in a safe location, where they are mechanically protected and can be safely maintained. In accordance with this requirement the risk of flooding should also be taken into account. (see 'Preparing for Floods (ODPM, 2003)'. 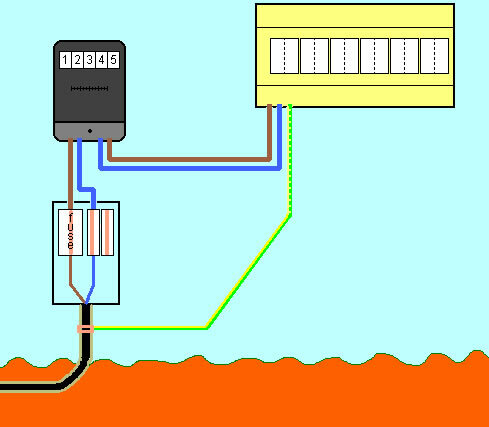 Distributors equipment and the installation consumer unit/fuse board should be above the flood level. Upstairs power and lighting circuits and downstairs lighting circuits should be installed above the flood level. Upstairs and downstairs circuits should have seperate overcurrent devices (fuses or circuit breakers). Consumer units should not be installed where young children might interfere with them. In accordance with these regulations and the contract for a mains supply, proposals for new installations or significant alterations to existing ones such as the installation of a solar PV system must be agreed with the electricity distributor. The maximum prospective short circuit current at the supply terminals. For low voltage connections, the maximum earth loop impedence of the earth fault path outside the installation. 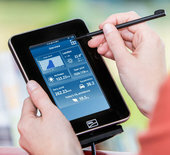 The type and rating of the distributor's protective device or devices nearest to the supply terminals. Almost all new supplies to dwellings will be from PME distribution systems. With a TN-C-S system earthing for the installation is provided from the distributor's fused cut out where it is common with the PEN or Neutral conductor. The maximum external earth fault loop impedence Ze is 0.35 ohms. 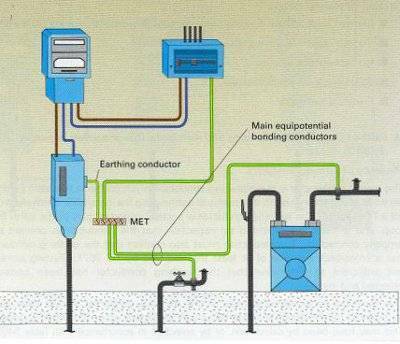 See: Earthing: Your Questions Answered (IEE, 2005) for further details and diagrams. 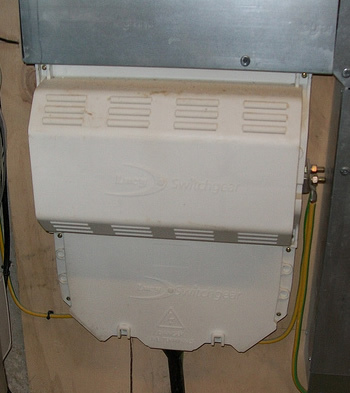 The earth connection is the responsibility of the distributor and is made by connecting the earth connection to the sheath of the incoming supply cable. The connection should be secured with soldering or brazing. A maximum fault level of 16 kA may be assumed and a maximum external earth loop impedence of 0.8 ohms. TT installations may be found in rural locations with overhead supplies or where a distributor may be unwilling to provide an earthing terminal such as that for a swimming pool, farm or building site. It is necessary to install an earth electrode with an impedence to true earth of the electrode not exceeding 200 ohms. 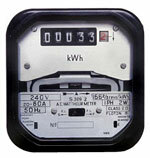 This can be checked by carrying out an earth impedence test when the supply has been connected. Metal gas, metal water or other metal service pipes are not to be used as the earth electrode. A seperate earth electrode must be installed with any present gas, water and other metal service pipes being bonded to the new Main Earthing Terminal. When an installation serves more than one building, the above requirement must be applied to each building. In certain special locations and in installations of increased shock risk supplementary bonding is required. Now you know what's possible, why not use our free quote and system design service and generate a bespoke solar panel system design and quotation? Quotations and System Designs are provided Free of charge based on aerial photography and the information that you provide.